Home - Westvac Industrial Ltd.
We are now hiring for various positions. Contact us for more information on positions currently available. Front, rear and side loader models available to meet every need from superior compaction to greater maneuverability. We are proud to introduce a new line of Holder articulating tractors in our Fleet Division. A wide variety of in-production and stock pumpers, tankers and rescue vehicles available for quick delivery. Want to see our equipment in action? 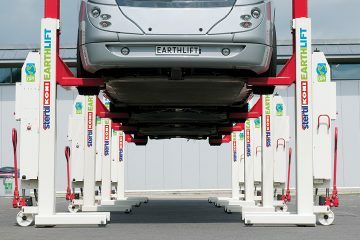 Your place or ours, we demo lift systems, wheel balancers, tire changers, and wheel alignment systems. With three equipment divisions – Lifts & Automotive, Fleet, and Fire – our dealership offers Western Canada’s municipal and industrial clients unparalleled inventory and service. We specialize in supplying the right equipment for the right job. Whether it’s heavy-duty lifts, wheel service equipment, sewer inspection equipment, hydro excavators, refuse collection vehicles, street sweepers, or fire apparatus, we can outfit you with the equipment you need. We can meet any lifting requirement with our heavy- and light-duty vehicle lifts, wheel service equipment, and lift accessories. We offer a complete range of services from sales, parts, and maintenance to warranties, inspections, and training. Premium quality and maximum versatility – details count when it comes to fire and rescue vehicles. We carry fire apparatus, accessories, and parts. We also offer a range of services from professional repairs to reliable testing. #107, 9488 – 189 St.